If you want a cheaper property in the UK go for one where the street name begins with a 'Z' or a 'J'. No streets start with X Sounds crazy but this is what the website Zoopla discovered when they carried out a survey of house prices in the UK based on the first letter of the street name. No, I don't know why they would be bothered with doing this either. Nevertheless, if you want to live in Uxbridge Road, Utoxeter Street or any other beginning with a U then it'll cost you more, the figures on the right tell the story. 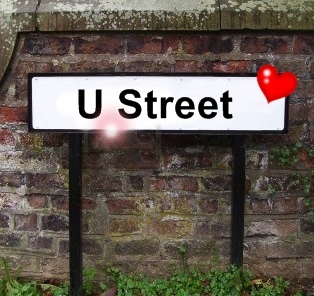 Zoopla's Lawrence Hall said, "There may be more to a street name than meets the eye. With £70,000 between U and Z, it is advisable to select wisely." Of course, it's often said that anything can be proven with statistics. In another set of stats it was found that a house is worth more if it has an odd number on the door. So, if you own a house with an even number - as I do - the property is said to be worth slightly less than the house either side with odd numbers! So there we have it: a property with an odd door number and a street beginning with U will be worth more than an even numbered house with a Z or J street. Oh dear, as I've said, I've an even door number and the first letter of my street is 17th on the list - and there was I thinking I'd made a wise investment. But at least I haven't got a Z in my car number plate - now that would be even worse! Really odd. I wonder how this would translate in the U.S.? We're down there with Y! It's odd but perhaps it's more to do with street names than anything else. Better off than me in G Street then!